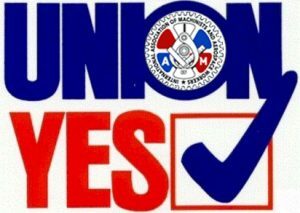 IAM Pax River Local 4 (District 4) notched an important victory for more than 200 workers employed at the HMR Veterans Home in Mechanicsville, MD. The workers voted overwhelmingly to join the IAM on December 14. The facility exclusively serves the needs of Maryland veterans and their eligible spouses. The post 200 Maryland Veterans Home Workers Say ‘IAM Yes’ appeared first on IAMAW.